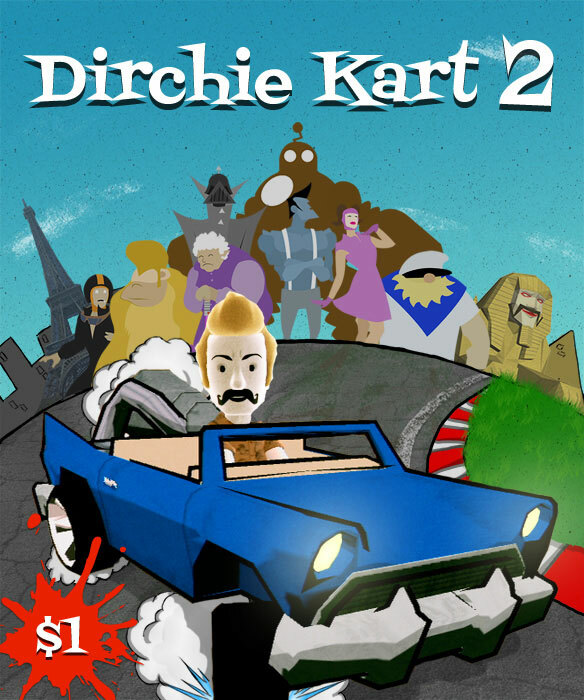 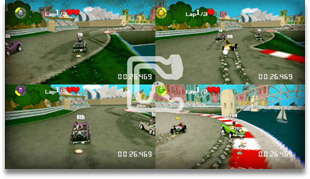 Challenge your avatar against a host of Dirchie characters in fast and furious single or up to 4 player split screen multiplayer karting. 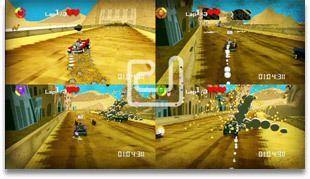 Lurking below its colourful veneer of simple graphics lies a detailed physics model, track surface friction and challenging AI. 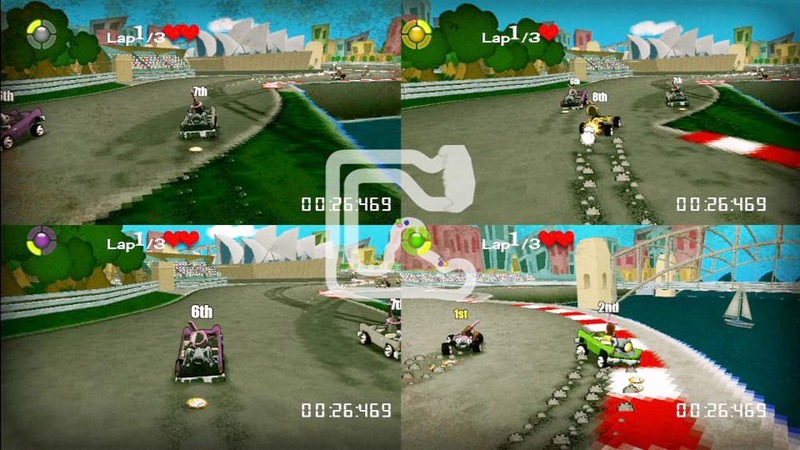 This is kart racing designed for racing fans to get a quick fix, you will need to pick a racing line and hit your apexes to be competitive. 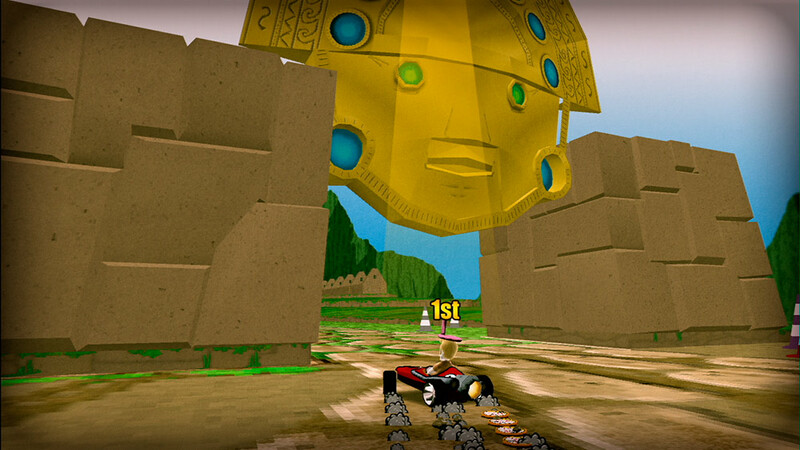 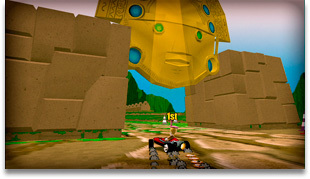 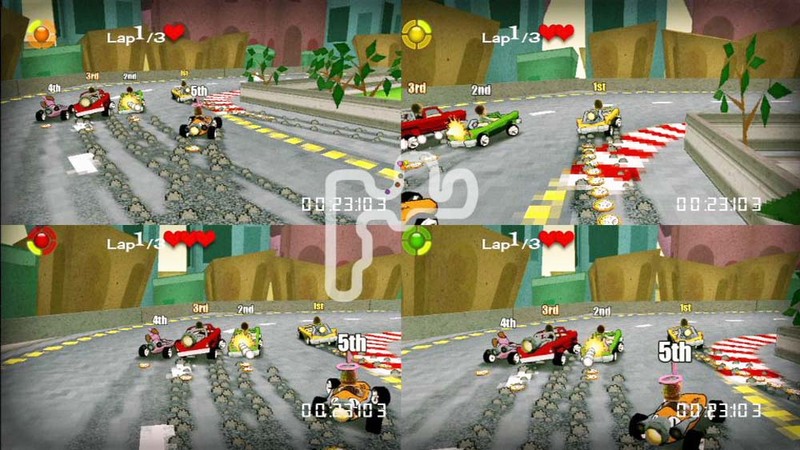 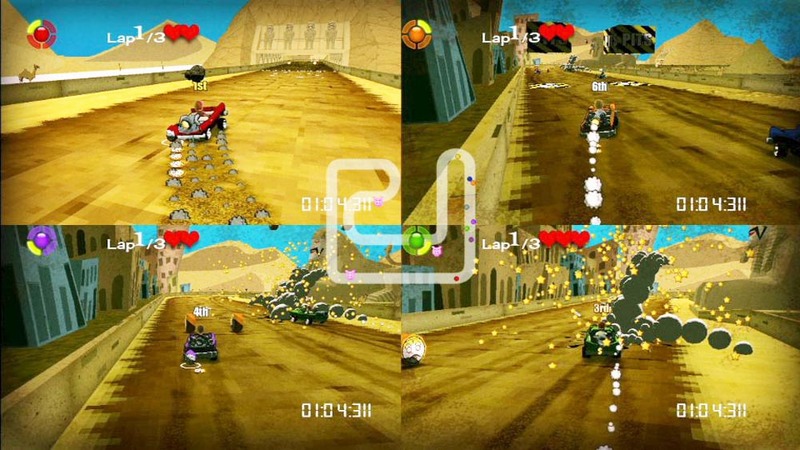 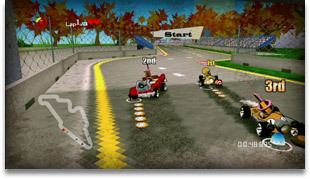 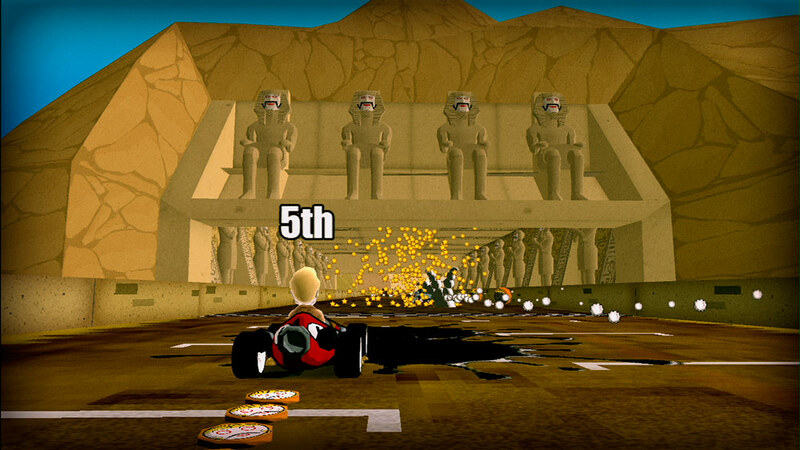 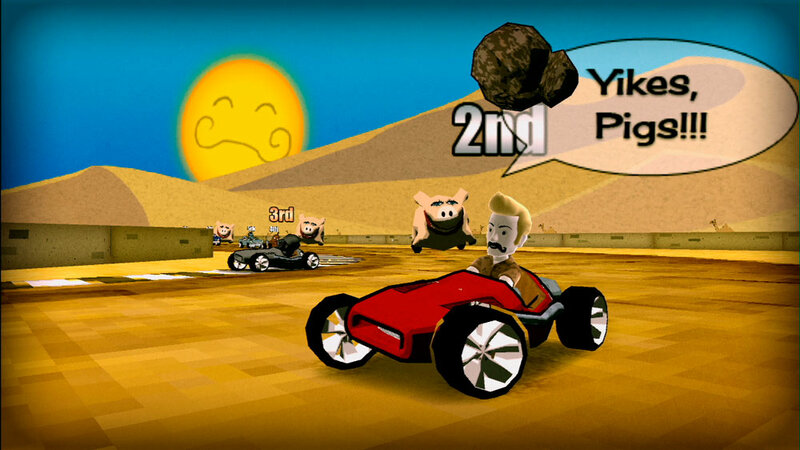 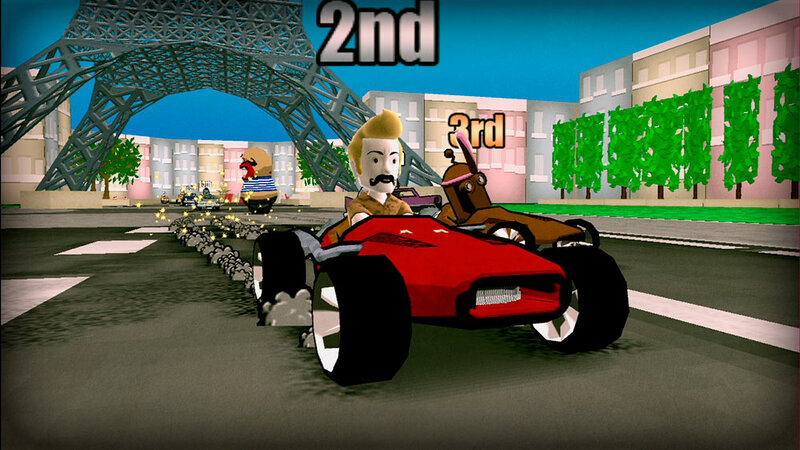 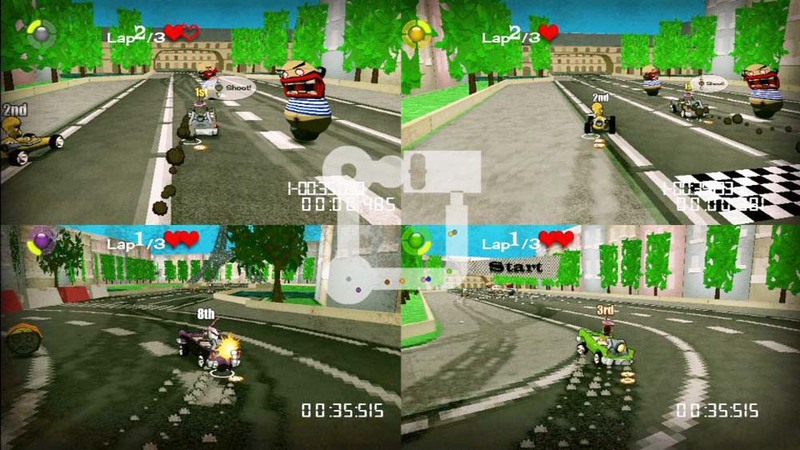 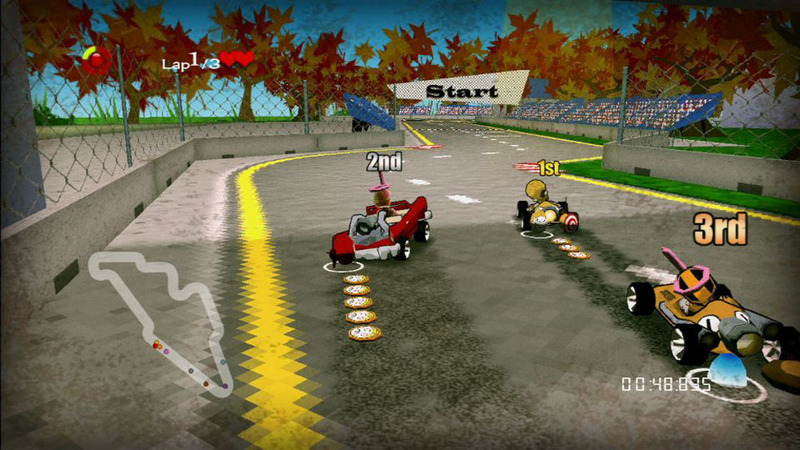 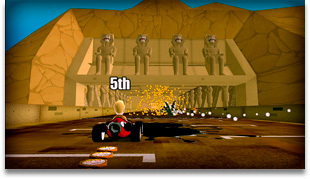 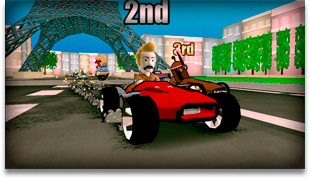 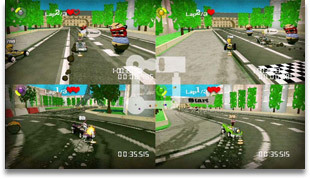 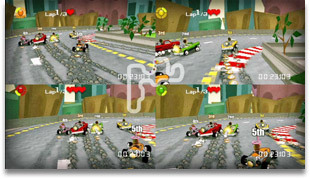 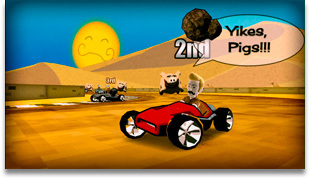 Multiplayer features the standard cup race and a unique party mode, where the players alternately select from Race, Battle and Drag events across 5 or 10 rounds. 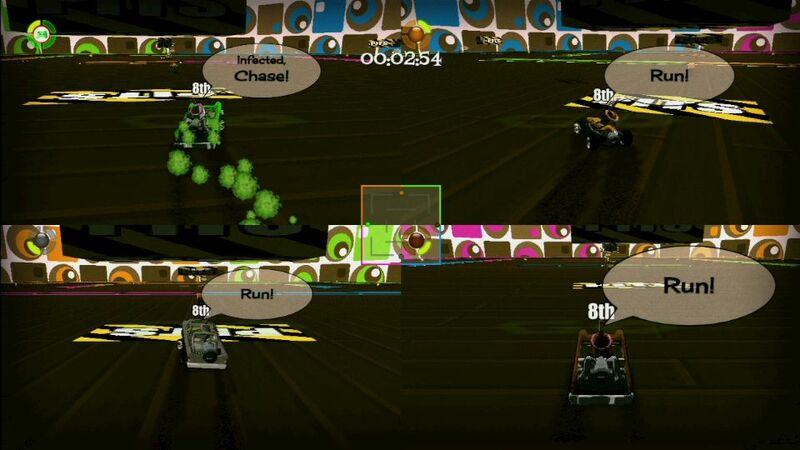 Layered over the top of these modes are numerous modifiers and a penalty system so you can customise your experience. 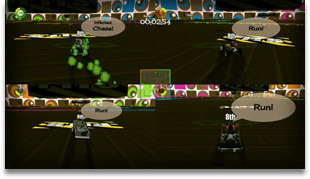 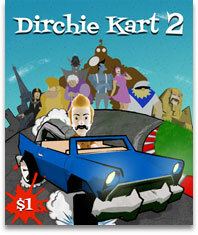 You can grab the Xbox Live Indie Games (XBLIG) release here.